Toyota Corolla is quite simply the biggest selling car of all time. 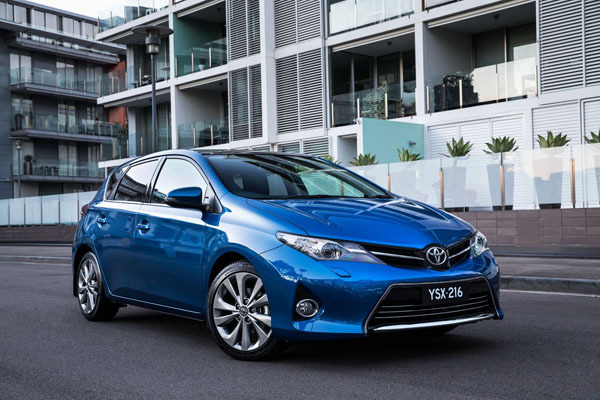 In Australia it has often been the number one seller in the outright sales race. 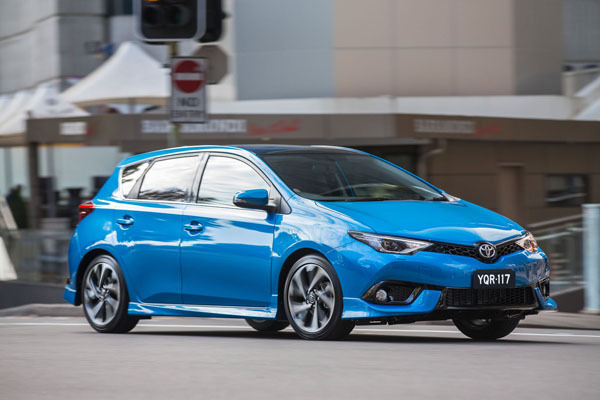 The latest Corolla landed in Australia in August 2018 and has led to many older models being traded in on the new (now up to the 12th generation) Corolla.Some dealers may be overstocked on the on trade-ins and will offered good deals to clear space. Combine these two facts and you will realise a huge number of Corollas is sale even in normal times, put time into selecting the best Corolla, and you can come up with a great buy. Most Corollas are four-door sedans and five-door hatchbacks. A station wagon was sold for many years, but was discontinued with the new model of April 2007. Toyota RAV4 shares some out of sight components with the Corolla and buyers bemoaning the loss of the Corolla wagon may care to check it out. Toyota Corolla has reasonable rear-seat room and a good-sized boot so is large enough to be considered as a family car if the children haven’t reached their mid-teen years. Engines are all four-cylinder units with a capacity of 1.8 litres. Almost all are conventional units, but the Corolla hybrid, sold from 2016 is an interesting option of you want to trim fuel costs. Manual gearboxes are six-speeders. Automatic transmissions from the 2012 Corolla onwards are efficient CVT units. Handling is fine if you drive a Corolla the way the great majority of owners do and it will be fine. Because the Corolla leans to the comfort side in the eternal handling/comfort compromise its pleasant to travel in. Even Australian country roads, including dirt roads, don’t upset the ride overmuch. 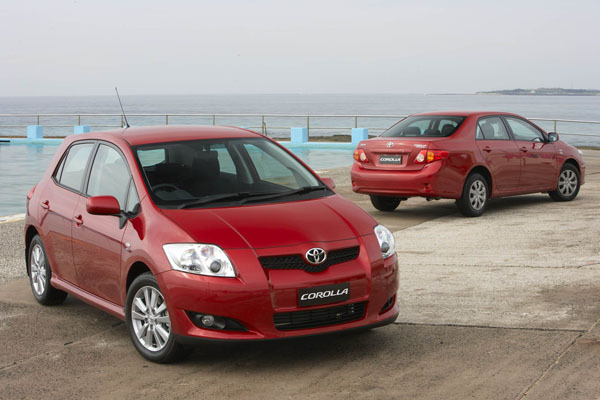 That’s partly due to the fact that Corollas were built in Australia for many years and local engineers did a lot of work on them. Indeed to this day Aussies pass information back to Toyota’s Japanese head office. The Corolla is easy for the good amateur mechanic to work on. We recommend having a workshop manual at your side. Anything affecting safety should be left to a professional. Spare parts and servicing are available through one of the biggest, most widely spread dealer networks in the Australia. Some outlets in the outback may not stock less common components for the Corolla but can usually have them shipped in within a few business days. Insurance premiums are usually at the lower end of the scale and there doesn’t seem to be a big variation amongst the big players in the business. Shop around, but be sure to compare the policies being offered. The engine should start within a couple of seconds and settle into a smooth idle immediately. Manual gearboxes should be smooth and quiet in operation. Do as fast three-two downchange as part of your test drive. If it baulks or crunches it may need an overhaul. If you’ve never driven a continuously variable transmission (CVT) you may find it feels and sounds rather odd. This is normal and you will soon adapt to its operation. Listen for a rattle from the engine when it start and check the oil light goes out quickly. Look for smoke from the exhaust when the engine is accelerated hard after idling for a minute or so. Check for signs of panel damage or previous crash repairs. Easiest to spot are ripples in the body, best seen by looking at the car end on in good light, also look for tiny spots of paint on unpainted areas. Look carefully at the interior and boot for signs of damage of excessive wear caused by the hurly-burly of family transporting. Expect to pay from $3000 to $5500 for a 2007 Toyota Corolla Ultima; $5000 to $8500 for a 2013 Ascent or a 2009 Levin; $8000 to $12,000 for a 2011 Levin; $9000 to $14,000 for a 2015 Ascent; $11,000 to $16,000 for a 2014 Ultima; $12,000 to $18,000 for a 2017 Ascent; $14,000 to $21,000 for a 2015 ZR; and $16,000 to $23,000 for a 2017 ZR. Take a friend or two with you when shopping for a used car, they can help by listening to talkative sales people while you concentrate on checking the car.